Joe Towers markets the milk from his 350 cow family dairy farm at Hornby in Lancashire under the brands Lune Valley Dairy Farm and The Estate Dairy. Future Farmers: On Monday afternoon I took my usual train from Lancaster to Euston. I spend half the week marketing the milk from my family’s farm in Lancashire and the other half working in Tesco’s dairy team where I am doing some project work looking at how to better manage volatility in the dairy supply chain. The company has provided many opportunities since I joined the Tesco Future Farmer Foundation - a scheme to help young farmers make a start in the world of agriculture - in 2014. I sell some of my family’s milk to coffee shops in London and after arriving in Euston I met with entrepreneurs Shaun and Rebecca who I spent 2015 developing a bespoke ‘barista milk’ with. It was a good meeting. I was told we had just landed another chain of cafes in London. Progress: We are delighted with our progress since launching in January. This led to a late arrival into Cheshunt after another train and a tube. It was the last time I made the trip to Cheshunt on a Monday evening as it was Tesco’s final week in the iconic New Tesco House before moving headquarters to Welywn Garden City. I had an early Thursday morning meeting at the Tesco Dairy Centre of Excellence at Liverpool University with veterinary experts and Tesco Sustainable Dairy Group (TSDG) farmers before heading on to Manchester to play in a charity five aside football tournament. It was a Tesco organised event where suppliers enter teams and I’d been asked to make up the numbers for Dairy Crest. Succession: A few drinks followed which was unfortunate because on Friday morning we had a family meeting about succession facilitated by Sian Bushell of Sian Bushell Associates. It was the first time the whole family, including siblings not currently involved in the business, had come together to discuss its direction. To my slightly hungover horror the meeting went on until 4pm. Sian was great, it was not always easy but I recommend anyone who thinks they should have a talk about succession get in touch with her. This led into another meeting on Monday morning with Kay Carson, a dairy farming lean management expert, another superstar worth having a chat with. It’s the ladies who will fix this industry; we men have too much pride. 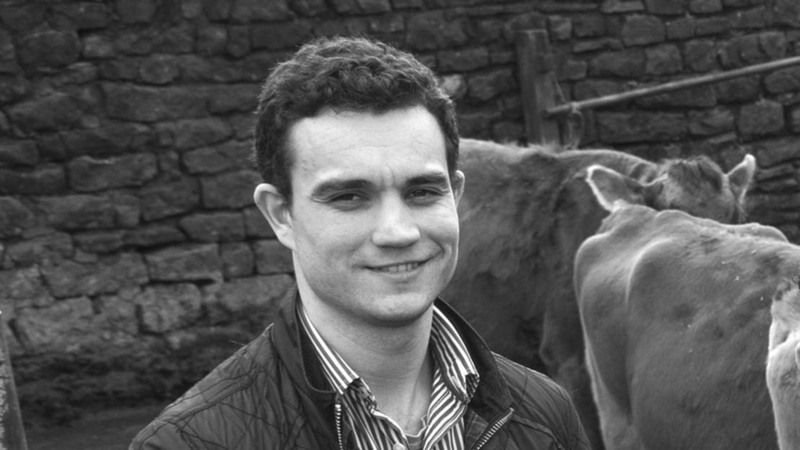 Joe Towers markets the milk from his 350 cow family dairy farm at Hornby in Lancashire under the brands Lune Valley Dairy Farm and The Estate Dairy. He is also Dairy Commodity Program Manager at Tesco’s and a former Tesco Future Farmer.